The first of a new group of Eden stores covering the County Durham area and linking up with North Yorkshire will be opening in Darlington this October. The new Eden Mobility Darlington store is right in the heart of the town on the corner of the Cornmill Centre at 1 Prebend Row. Although the first store in the area the service and backup will reflect Eden’s huge resources and ours staffs commitment to customer care. We will be able to bring the showroom right into your home with our caring home consultants and demonstrating a wide range of items, helping to make your life easier. We can also arrange free no obligation home surveys for stairlifts, walk in showers and our specialist engineers will provide excellent aftersales servicing and repairs. Call in now and have a friendly and helpful chat to find out how Eden Mobility in Darlington can help you to “regain your freedom”. We have 1 used mobility scooters that are available to view at our Darlington store. 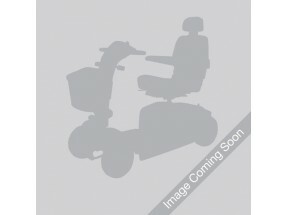 If you are looking for a mobility scooter, Eden Mobility can help. We have a huge range of mobility scooters in Darlington available so you can rest assured that we'll have what you're looking for. Come on down to our store today and see what we have available. If you are interested in our powerchairs in Darlington, visit our store. We have a huge range available to suit the needs of all. We'll also be able to provide friendly and knowledgeable advice to help you make the correct purchase. Eden Mobility have a selection of rise and recline chairs available at the Darlington store. Come along today for a cup of tea/coffee and see our comfortable, high quality chairs for yourself. A stairlift could help you regain your freedom, allowing you to get up and down the stairs at great ease. Come along and see a live demo of our stairlift in Darlington today so that you can see exactly how they operate. We'll also be able to provide you with helpful, friendly advise and answer any questions you may have. We have a selection of wheelchairs available to buy in our Darlington store. Come and see what we have in stock today. Our friendly team will provide all of the help and advise you may need and will answer any questions you have about the wheelchairs we can offer.